4 Berth Motor Home . 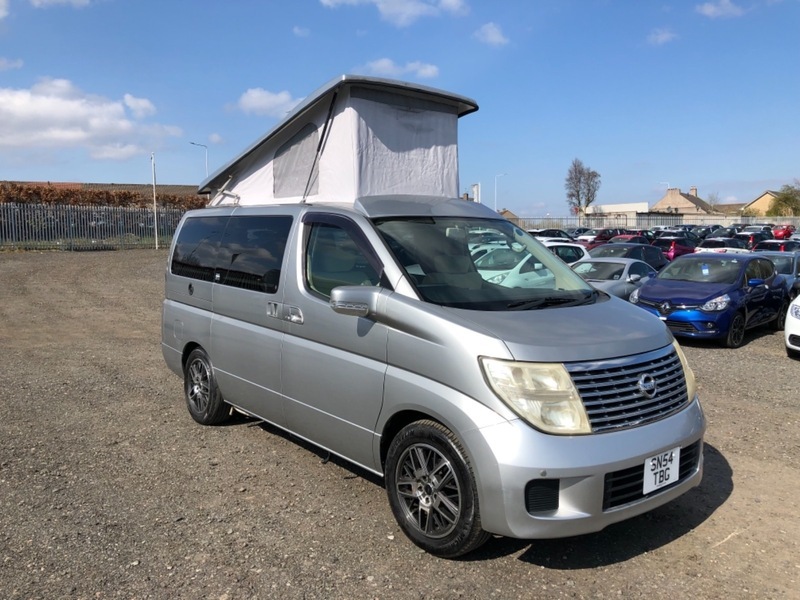 Nissan Elgrand pop top 4 berth camper van. 2.5 engine not the thirsty 3.5 l . Front and rear parking sensors, Automatic, Air Con .240 volt hook up . 4 seater with seat belts . 2 gas hobs , sink with running water, fridge freezer, toilet, rock n roll bed goes flat into large double bed with 2 more able to sleep in the roof. Electric side door , Camper will come with 12 months MOT , a fresh service and 6 months warranty plus 12 months AA breakdown cover all included in the price . Excellent finance rates available. I would like to make an enquiry about your 2015 Nissan Elgrand 4 Berth Motor Home .